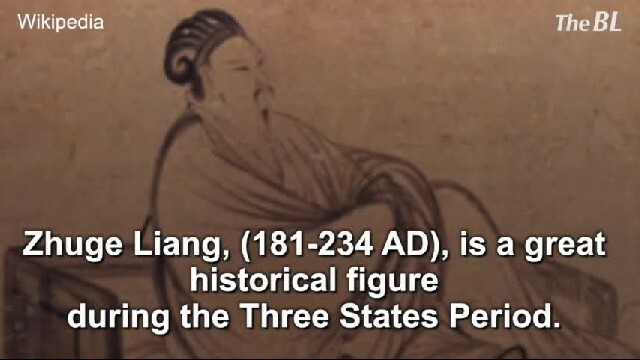 The ancients knew him well. He was as powerful as a god, as dangerous as a demon. He generously gave life – and he ruthlessly took it away. He appeared to all, from the darkest and most bone-chilling conditions of the north to the parched and shimmering-hot deserts of the south. The ancient peoples of the Americas knew who was in charge of their lives and fates, and so he featured widely across cultures and mythologies. Curiously, though he was dangerous, he was almost always welcomed! He was as reliable as the sun, rising in the east and setting in the west. And that’s no coincidence because he was the sun itself: powerful, unknowable, and blindingly obvious. Even in belief systems which incorporated many deities attributed to the natural world, the sun was a mainstay. Worship of solar gods throughout human history in the Americas is easy to see. Ancient, even prehistoric symbolism, ritual, and monuments reveal peoples across varying landscapes, climates, and with cultures and lives that couldn’t have been more different from each other—yet worship of solar gods connects them. Usually seen as male, the American solar gods were not just life-bringers, they were often warrior gods as well. Their shining nature, powerful and dominant, was symbolized by fire, shields, golden idols and relics, discs, or masks. 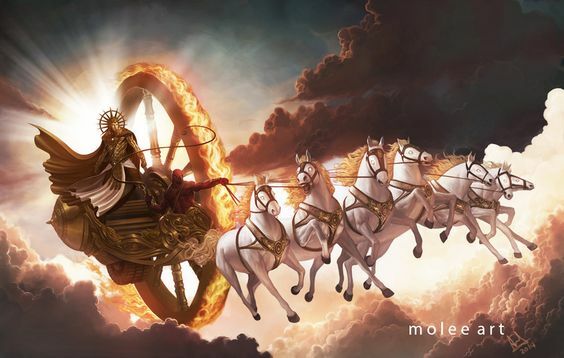 The sun was not necessarily the supreme creator; instead, it was frequently the child of creator gods. Sometimes, myth held that the sun and moon were twins. It went that after nothingness came creation, and then generally a sun, a moon counterpart or sibling, followed by additional celestial bodies to inhabit the newborn universe. The movements of the sun affected all. The changing of the seasons and the connection to the sun in the sky was cemented in the minds of ancient peoples of America. High temples and monuments in alignment to the sun’s travels were a necessity. 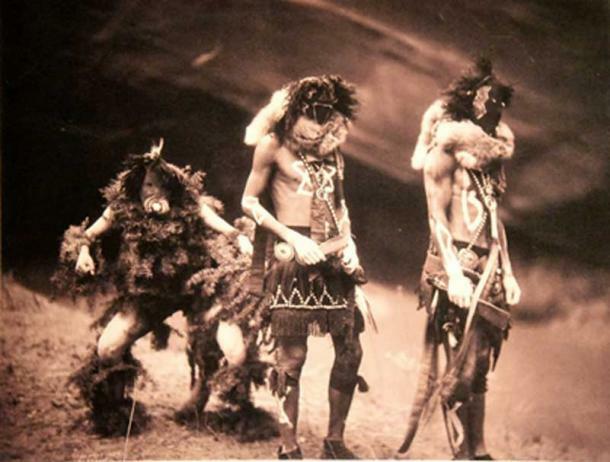 Dances and rituals were practiced and passed on to following generations. For, without sacrifice and offerings to sun gods, peril could follow! Before European colonization, the indigenous people of the Americas extensively worshiped the sun. 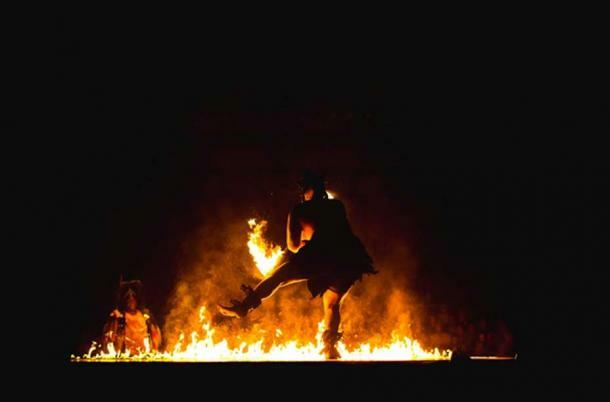 A prominent feature of many religions, often a ritualized dance was the most important ceremony. These were occasions when bands would gather to reaffirm their beliefs about the universe and creation. 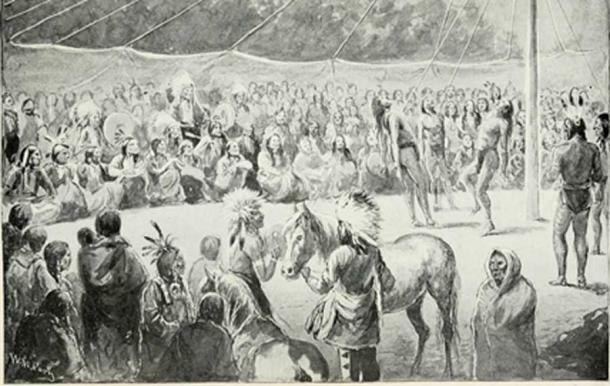 The Sun Dance was a vital annual tradition of the Plains Indians of North America. Held in the late spring or early summer, hundreds of people would attend, seeking access to powers or insight from the supernatural world. This concept can be found globally in solar worship. Sun Dance was done to ensure the tribe’s well-being through a physical and spiritual ordeal offered in sacrifice for their people. The Sun Dance included grueling tests of endurance; for those who pledged to endure in the ritual, dancing might go on for days, with no food or water taken. Skin might be pierced with wooden skewers strung with leather thongs, and then heavy weights were attached, such as a buffalo skull, which would be dragged across the ground. The dancing would continue until the skin ripped or the dancer succumbed to exhaustion. In the 1800s the Sun Dance was disallowed and discouraged by USA and Canada, however, the dance continued in secret and now sun dancing remains a significant religious ritual among many Plains peoples (although without the more extreme endurance trials). In the Arizona region of America, the Hopi people believe that in the beginning there were two entities: the Sun-God, Tawa, and Kokyangwuhti the Spider-Woman, the Earth-Goddess. While the sun was indeed a powerful creator, he had to share creative control with the goddess. Tawa controlled everything in the Above, while the Spider-Woman was in charge of all in the Below. It’s said these two were the creators of all living things to come. But in some tellings of the legend, the sun merely watches on as other goddesses create everything. No matter who gets the credit, it is still traditional for Hopi mothers to seek a blessing from the sun for their newborn children. 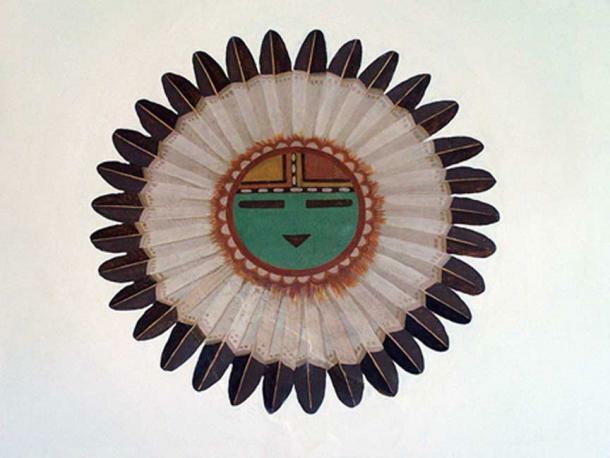 The sun god actually has to work for a living, according to the Navajo people of the American Southwest. Every day Jóhonaa’éí, or sun bearer, must laboriously haul the blazing sun across the sky on his back. He can only rest at night when his work is done, as he hangs the sun on a peg in the wall. The article was re-published under the permission of ancient-origins. See full article here.